Rain- sun- rain- wind- sun... The weather in Austria is crazy! In one hour it can go from freaking hot to f**@##! freezing. Gladly, I had my boots and umbrella on hand... and was ready to go outside! I actually love wearing this flowery boots... so whenever it is coldish and raining, I get pretty excited ^^. 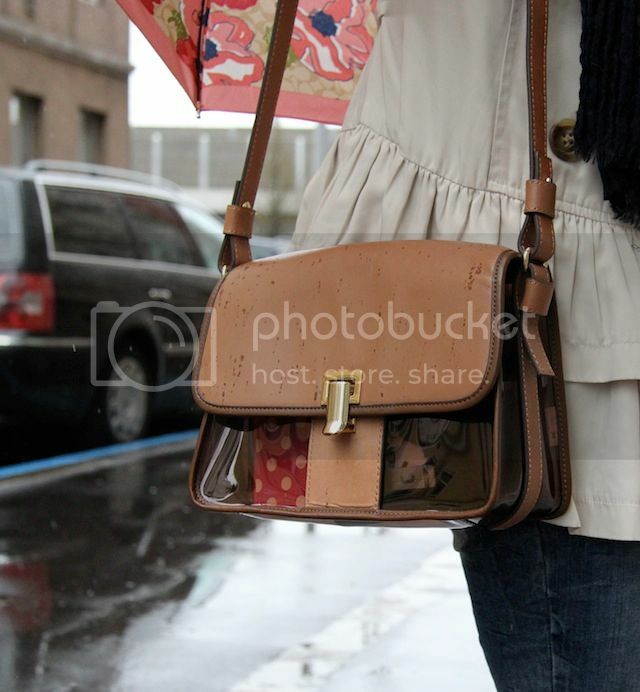 Hi doll, adore your styling of this pretty outfit, the bag is beautiful and love the colourful fun umbrella! Thanks for your visit, Happy Friday! your umbrella is so cute! 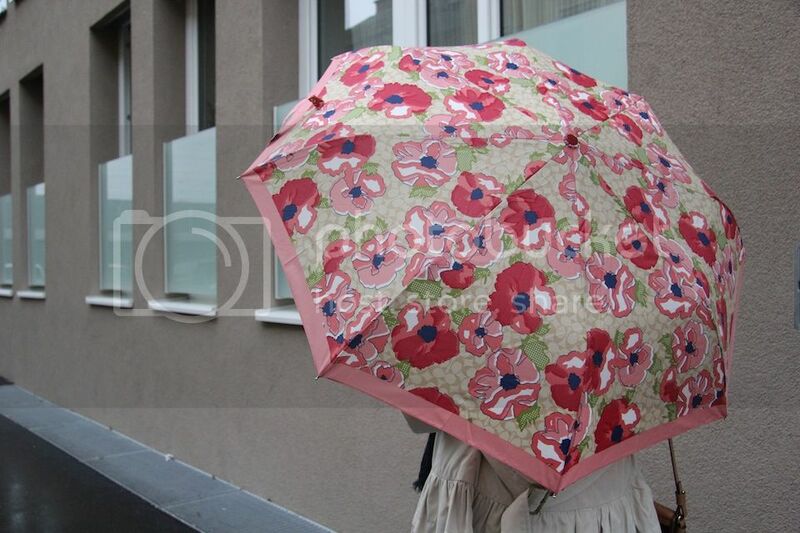 Very pretty floral umbrella and rain boots. Wow, your transparent bag is from Zara. I better check that out. such a cute umbrella you have! 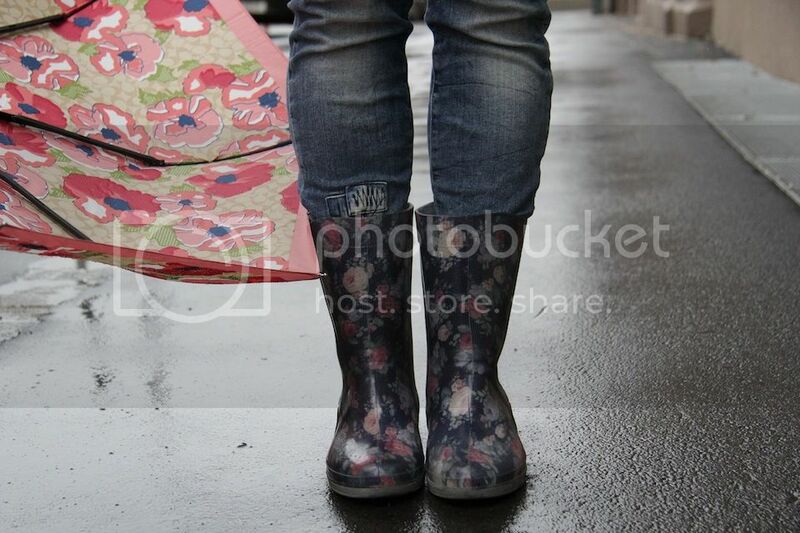 I really want these rainboots! primwero que todo, me encanta la sombrilla, es una monada, y todo el outfit de lluvia esta divis, te entiendo respecto al clima, aca es igual muchas veces, lluvia, sol, viento, una mezcla increible, y luego por eso enfermamos =/ no me queda mas que decirte animo! Nice pics!!! I love your trench!!!! Perfect look to battle the rain! 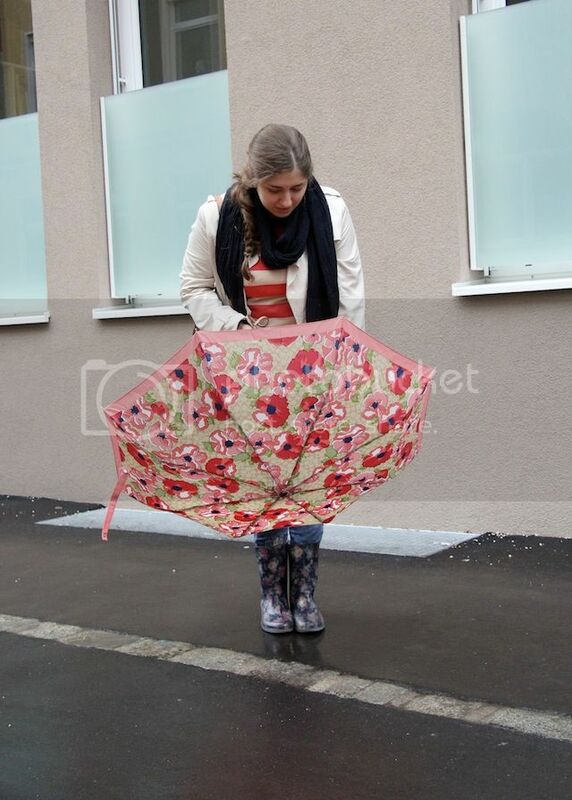 Such a beautiful umbrella and rain boots! Love the ruffle detail on your coat! Lovely, the outfit is casual and stylish. 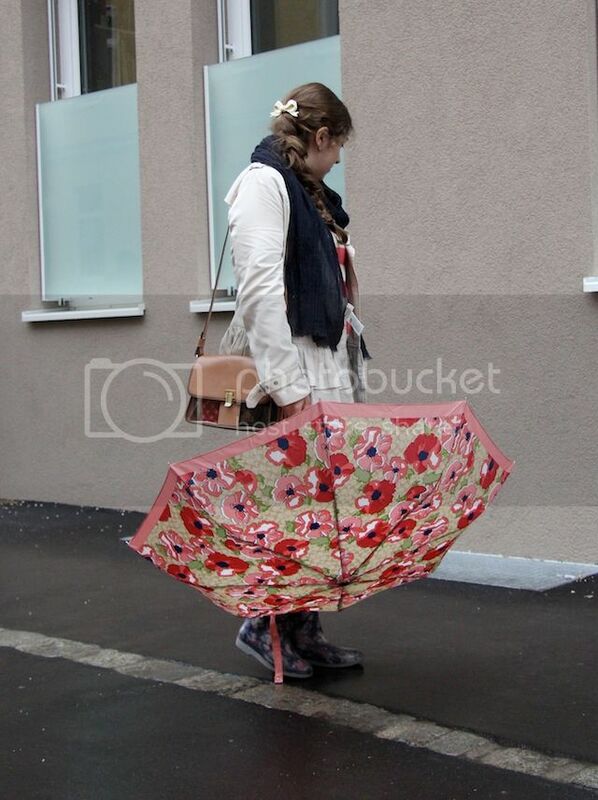 That umbrella is so cute! the weather is also weird here too! 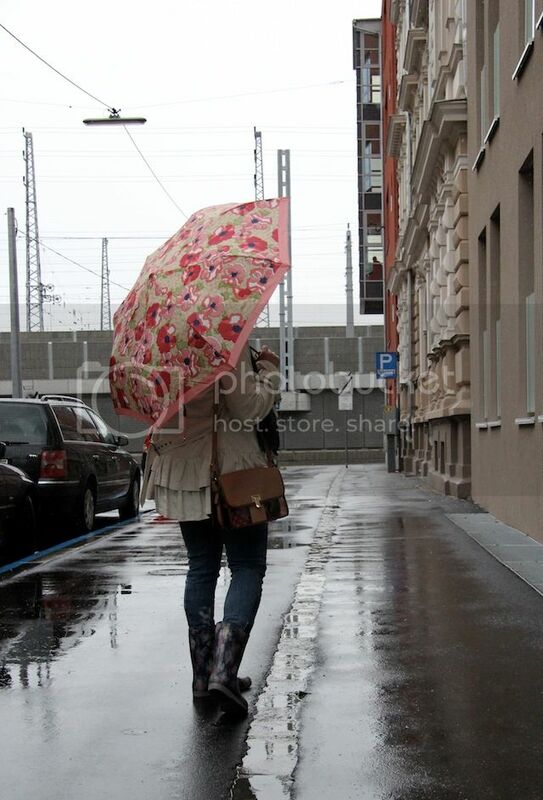 !love your umbrella and your bag too!! HAAAAArrrrrmosa, me encanta la gente que le pone onda a los días lluviosos! I squealed with delight when I saw that darling umbrella. What a cheerful floral print; perfect to brighten up a gray day.